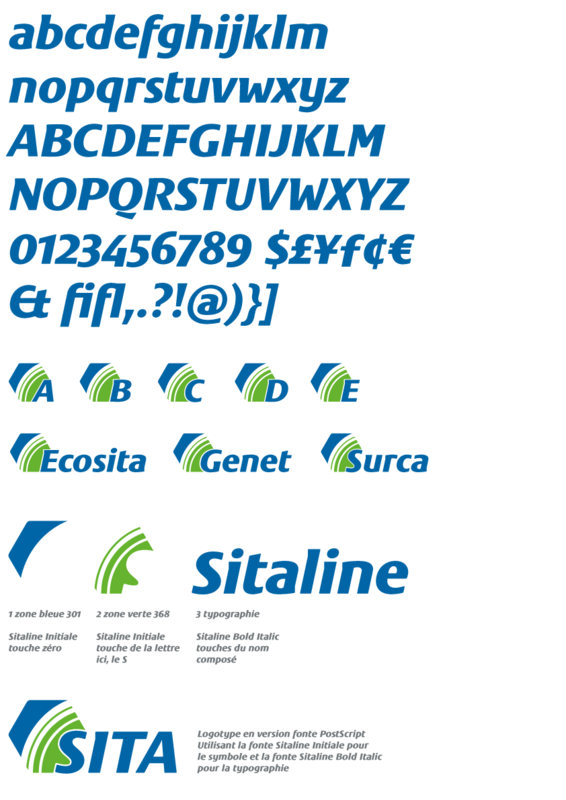 Sitaline is a corporate typeface designed for a large company with many international subsidiaries operating under different names. The bespoke typeface, developed in conjunction with WCie, Paris, allows each subsidiary to share in the corporate identity of the parent company. The typeface is in a bold italic style, and is accompanied by a font of logotypes and initials. 1. Sitaline typeface and contextual version built to set the logotypes. Sitaline is an exclusive typeface, who will never be made available to the general public.